A young woman is experiencing significant chest pain. She calls 9-1-1. An ambulance shows up and the paramedics assess her condition. They tell her she’s having an anxiety attack and she should just take an Ativan and go to sleep. She takes their advice but the chest pain won’t go away. Six hours later she calls 9-1-1 again. This time the ambulance takes her to the hospital where Dr. Tara Sedlak, a UBC medical resident at the time, tells the woman she has a blockage in her arteries and she is having a heart attack. Frustrated after seeing women continually misdiagnosed, Dr. Sedlak made it her mission to focus her career on women’s heart health research — to improve recognition and to improve diagnoses — and prevent this situation from repeating itself. Following residency training in internal medicine and cardiology, Dr. Sedlak travelled south of the border to complete a fellowship with Dr. Noel Bairey Merz, one of the world’s leading experts in women’s heart health. 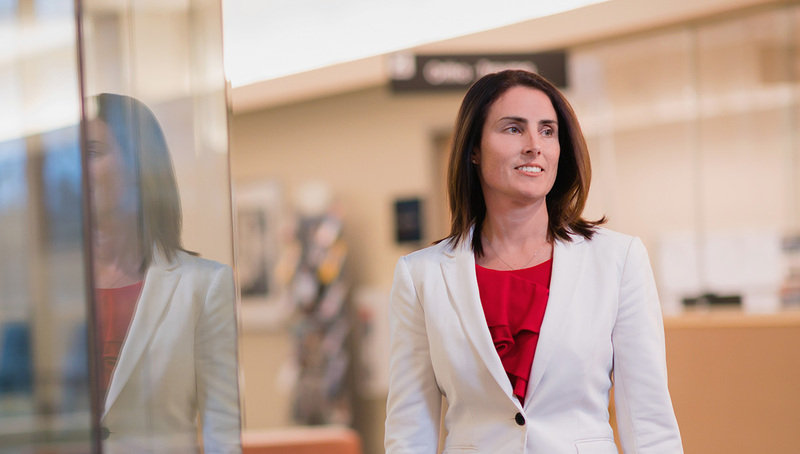 Dr. Sedlak returned to UBC as the first certified Women’s Heart Health Cardiologist in Canada. For the past six years, she has been working to improve years of gender inequality in heart disease through research, preventative cardiology and increasing education and awareness. “Ten years ago, we couldn’t figure out why women with seemingly normal test results suffered heart attacks” she says. This lack of information led Drs. Sedlak, Merz, and Dr. Karin Humphries, associate professor in the Department of Medicine and UBC Heart and Stroke Foundation Professor in Women’s Cardiovascular Health, to dig in and conduct more research on the issue. It turned out the culprit for many women was disease in the heart’s small blood vessels, or coronary microvascular dysfunction (CMD). The team discovered that some women suffered from spasms of the artery, called vasospasm, while others were found to have tears in their arteries, called spontaneous coronary artery dissection. Today, Dr. Sedlak is using this research to improve care for her patients. As medical director of the Leslie Diamond Women’s Heart Health Clinic at Vancouver General Hospital — part of a women’s heart health network that is the first of its kind in Canada — she works each day to combat heart disease along with a team of interdisciplinary health care professionals to deliver specialized treatment programs and testing. Beyond specialized cardiac testing and a women’s-only exercise program, women have access to a psychiatrist and a nurse practitioner who help provide a team-based and holistic approach to heart health. They also have access to the network of clinics that include a chest pain clinic at Vancouver General Hospital and the Heart Program for women, a prevention clinic, at BC Women’s Hospital. The clinics are also home to UBC medical students and residents, who regularly train with Dr. Sedlak, a clinical associate professor in the Division of Cardiology. “It’s very rewarding to not only share my knowledge with them, but to increase their awareness and understanding of heart health in women,” she says. Dr. Sedlak will always remember that moment with the young woman in the ER. 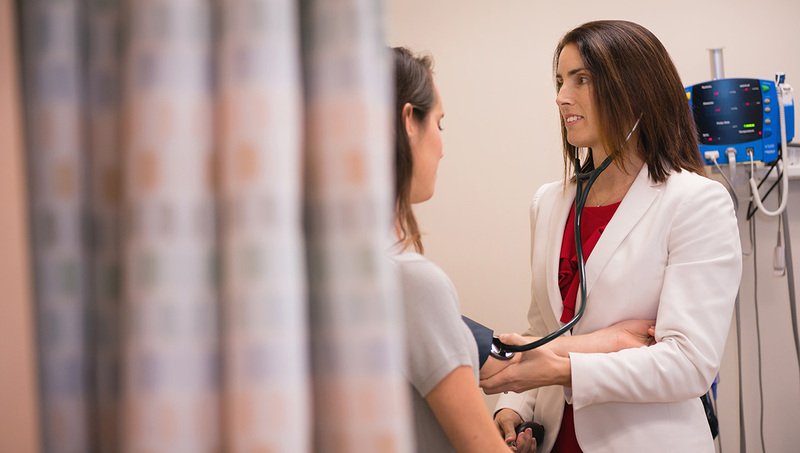 Though women may delay visits to the doctor, Dr. Sedlak is adamant about the importance of listening to your intuition when it comes to preventing heart disease. Dr. Sedlak says women should remember to prioritize their health even when faced with the pressure to multi-task and tend to the needs of others. Get your cholesterol checked once every few years after age 40 or earlier if you have a family history of heart disease. Get your blood pressure and sugars checked with your annual physical exam. Exercise three to five times a week for 20-30 minutes with an elevated heart rate to help maintain a healthy weight. If you have gestational diabetes or high blood pressure during pregnancy, follow up with your family doctor to get these conditions checked. In Canada, women are five times more likely to die from heart disease than from breast cancer. Women are 50 per cent less likely than men to attend or stay in cardiac rehab even if they’ve had a major cardiac event. Only 20 per cent of women’s doctors regularly talk to them about their heart health.